Micromax India announced Micromax Canvas HD. The Micromax Canvas HD has a 5-inch Display with 1280×720 HD resolution, 1.2 GHz MediaTek’s MT6589 Quad-Core Processor, 8 MP Rear Camera with Autofocus. The Phone runs on Android 4.1 Jelly Bean. 2000 mAh Battery will power the device. 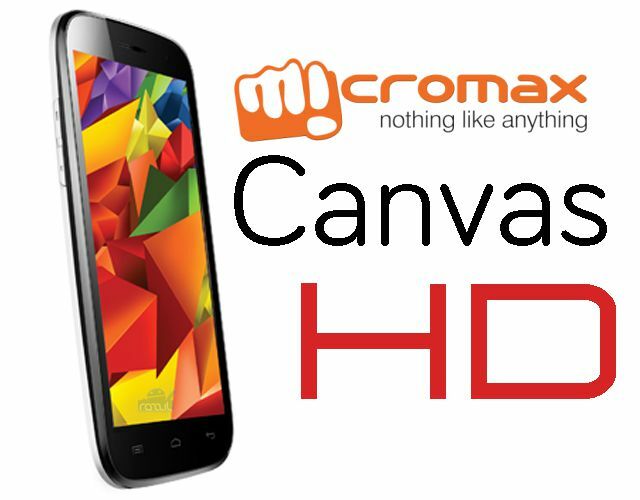 The Micromax Canvas HD priced at Rs. 13,990/- and customers can purchase a device from company official site www.micromaxinfo.com. The phone will be currently sold exclusively online with a delivery time of 5-7 working days starting 14th February 2013.